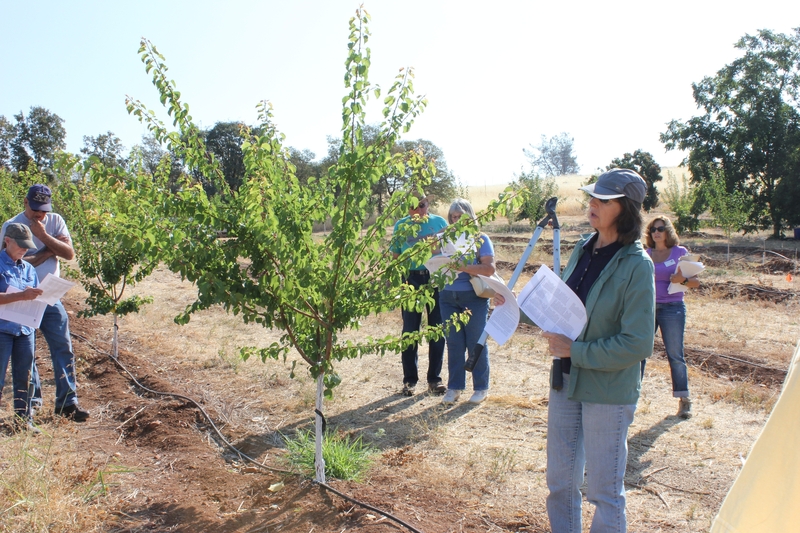 Sierra Foothill Research and Extension Center and Sutter Yuba UCCE Master Gardener Program will host an early spring bareroot fruit/nut planting in 2016. If you are interested in attending, please contact Master Gardener Program Representative Heidi Sanders at 530-822-7515. The Nevada County Master Gardener Program, led by President, Kris Vasser and Past President, Teri McConnell, hosted a hands-on pruning demonstration for their volunteers on Wednesday, October 15th at SFREC. Twenty participants utilized SFREC's Educational Outreach Orchard which includes a variety of nut and fruit trees. 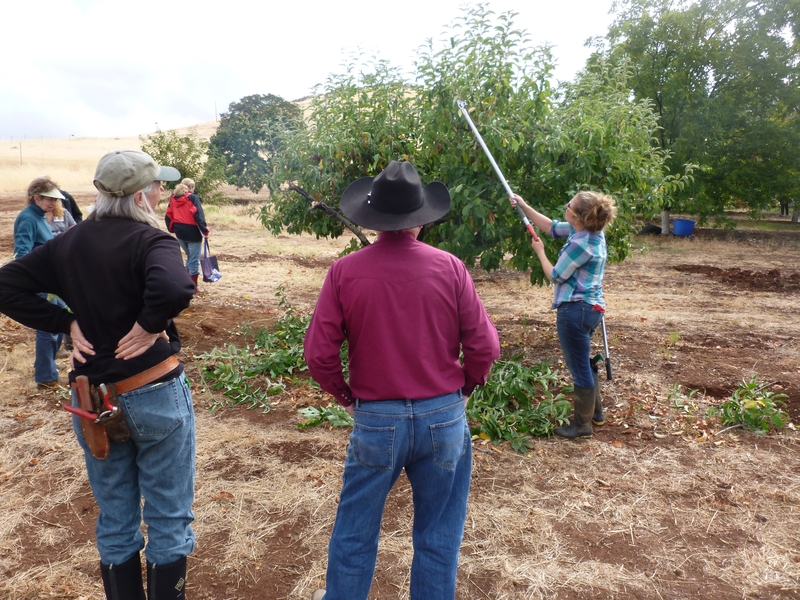 After learning about the basics of pruning, the Master Gardeners set out in the orchard to practice safe pruning and thinning techniques. 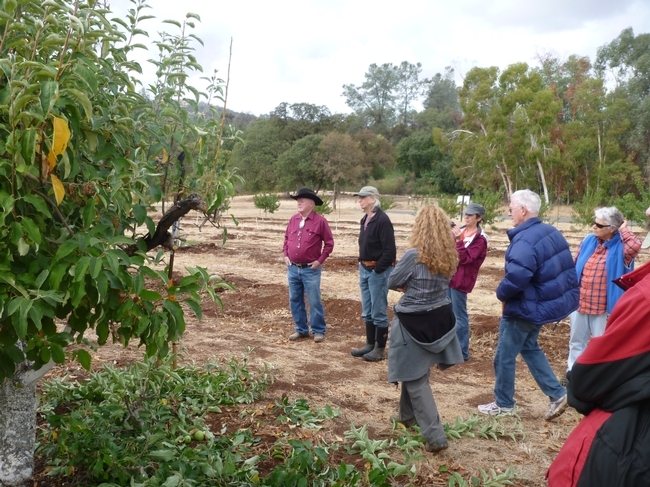 They also learned about strategies for caring for diseased trees and the differences in pruning styles between pome and stone fruit trees. Participants were able to pick ripened pecans and chestnuts after their class before enjoying lunch at the Yuba River Education Center along the river bank. The UC Master Gardener Program is a public service and outreach program under the University of California Division of Agriculture and Natural Resources, administered locally by participating UC Cooperative Extension county offices. 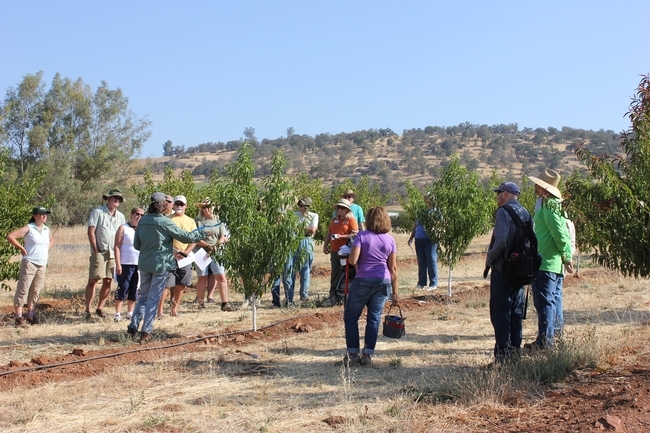 In exchange for training from the University, UC Master Gardeners offer volunteer services and outreach to the general public in more than 50 California counties. To find out more about your local Master Gardener Program, click here. If you are interested in receiving information about future workshops and events open to the public, please contact SFREC Outreach Coordinator, Megan Osbourn at (530) 639-8800 or mgosbourn@ucanr.edu.